It’s like art imitating life imitating art. Wait… am I looking too deeply into this? 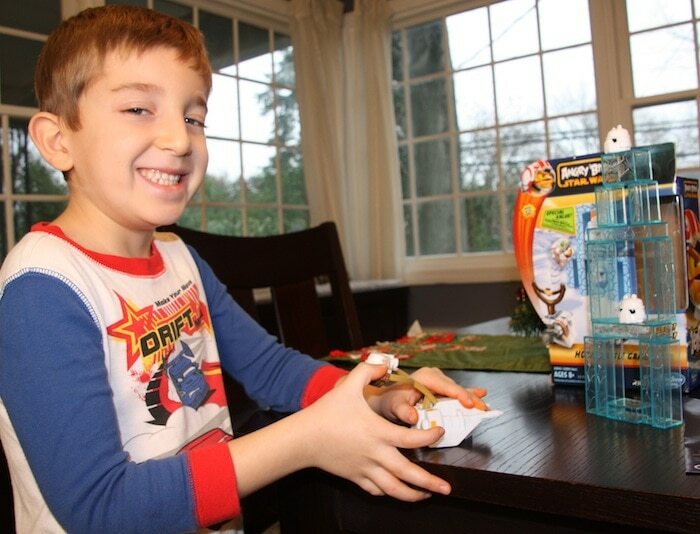 Liam was so excited to physically get his hands on the Angry Birds Star Wars Jenga Hoth Battle Game. He loves playing all the Angry Birds apps, but now he has the ability to have a tangible experience. Unfortunately, I bought this for him as a Christmas present… and he FOUND IT before we had a chance to put it in the attic. UGH – so annoying. But it is what it is — so I figured why not do a little video so you can check it out. 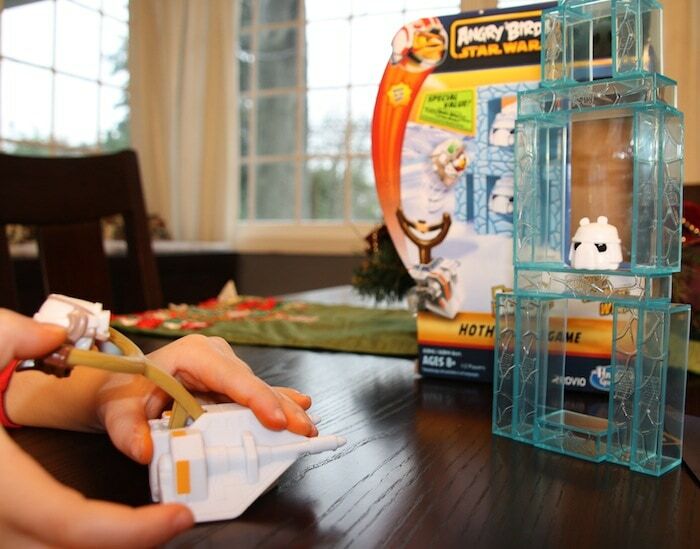 Angry Birds Star Wars Fighter Pods Hoth retails online for $19.99. Ack! Don’t you hate it when they find it before Christmas? LOL I’ve started wrapping the minute I walk int the door now. My kids love that they have Angry Birds games now to go with their apps. Star Wars ones are the cutest.